One of the perks of being a book blogger is getting books in the mail. Gratis. What an honor it is to be asked to review books, of all sorts, some which haven't yet been released to the public! 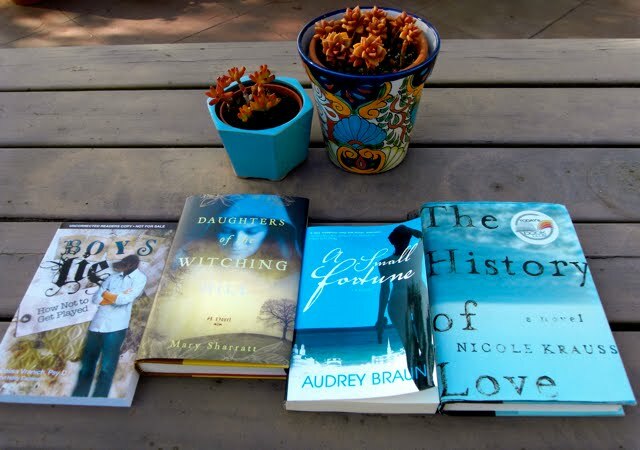 When I first started this blog, I didn't imagine that I'd get books in the mail to review, but after many months of blogging I started to get offers. I also win books from other book blogs that I visit, which is terrific, too. While I didn't get a great number of new books last week, I did get a couple more to savor this summer. 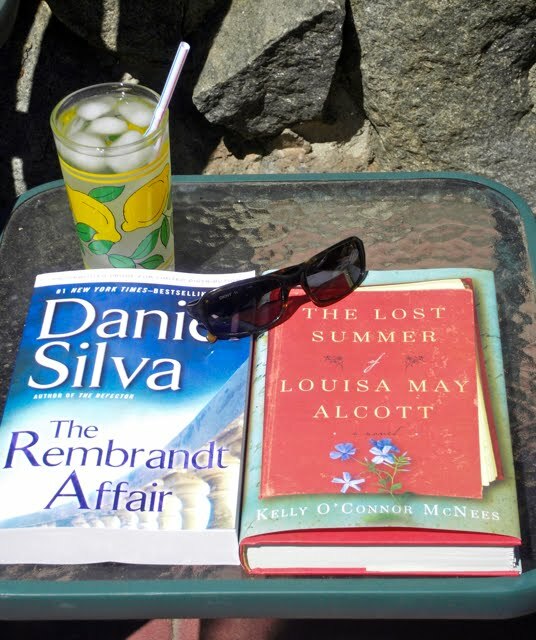 The Rembrandt Affair, the latest thriller by Daniel Silva, to be released to the public on July 20, arrived for an upcoming TLC book tour from Putnam. 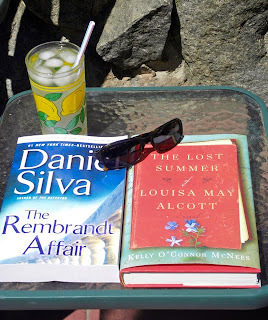 I won The Lost Summer of Louisa May Alcott by Kelly O'Connor McNees from a giveaway on Kristi's blog, peetswea. She generously let me choose any book I wanted from her long list of reviewed books. I'm looking forward to reading both of these. Mailbox Monday, one of my favorite memes, is hosted by Marcia from The Printed Page. What new books did you get for the summer, by mail or from elsewhere? Time was running out! 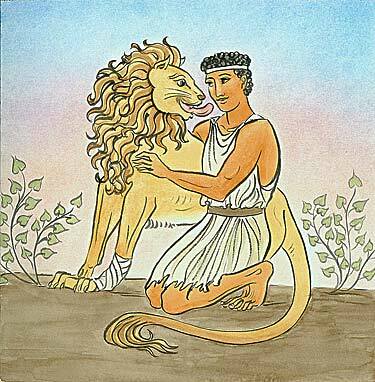 With little time left to complete Carl V.'s Once Upon a Time IV reading challenge, I decided to read Androcles and the Lion by Aesop, which I found online and present here. I haven't read Aesop's Fables since my childhood. Aesop was a slave and story-teller who lived in ancient Greece between 620 and 560 BC, and his name is associated with countless fables. A fable is a very short story that features animals, mythical creatures, plants, inanimate objects, or forces of nature which are anthropomorphized (given human qualities), and that illustrates a moral lesson, which may be presented as a maxim at the conclusion. A slave named Androcles once escaped from his master and fled to the forest. As he was wandering about there he came upon a Lion lying down moaning and groaning. At first he turned to flee, but finding that the Lion did not pursue him, he turned back and went up to him. As he came near, the Lion put out his paw, which was all swollen and bleeding, and Androcles found that a huge thorn had got into it, and was causing all the pain. He pulled out the thorn and bound up the paw of the Lion, who was soon able to rise and lick the hand of Androcles like a dog. Then the Lion took Androcles to his cave, and every day used to bring him meat from which to live. But shortly afterward both Androcles and the Lion were captured, and the slave was sentenced to be thrown to the Lion, after the latter had been kept without food for several days. The Emperor and all his Court came to see the spectacle, and Androcles was led out into the middle of the arena. Soon the Lion was let loose from his den, and rushed bounding and roaring towards his victim. But as soon as he came near to Androcles he recognised his friend, and fawned upon him, and licked his hands like a friendly dog. The Emperor, surprised at this, summoned Androcles to him, who told him the whole story. Whereupon the slave was pardoned and freed, and the Lion let loose to his native forest. I'm not sure that I read Androcles as a child, but I really enjoyed reading this fable as an adult. When kindness leads to gratitude, it's beautiful. "From midnight until five-thirty without a break, she had to stand at the conveyor belt making boxed lunches. For a part-time job, the pay was good, but the work was backbreaking. More than once, when she was feeling unwell, she'd stopped here in the parking lot by the thought of the hard shift ahead. But this was different, this feeling of aimlessness. As she always did at this moment, she lit a cigarette, but tonight she realized for the first time that she did it to cover the smell of the factory." Ordinary housewives by day, Masako Katori, Kuniko Jonouchi, Yoshie Azuma, and Yayoi Yamamoto are graveyard shift workers at a boxed lunch factory in Tokyo suburb at night. 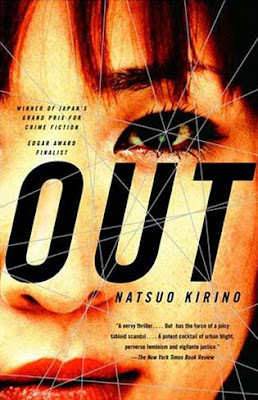 Published in 1997, Out by Natsuo Kirino (translated by Stephen Snyder) won the Grand Prix for Crime Fiction in Japan in 1998, and is the story of these four women. 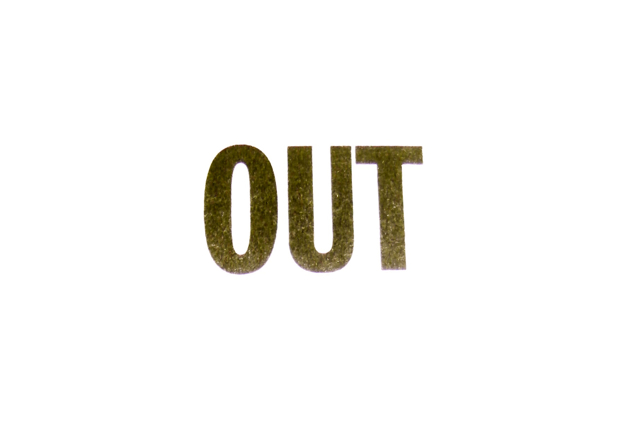 Out is an unbelievably engaging thriller. Crime fiction isn't my usual genre, but once I started reading it, I was hooked and couldn't put it down. The images conjured up in this book are vivid and haunting, and some are quite horrific. I envisioned the workers walking part of the way to the factory during the damp, shadowy nights, and much more gruesome scenes. This is a story I won't be able to forget! I read Out for the Japanese Literature Reading Challenge 4, hosted by Dolce Bellezza. Previously I read and reviewed Real World, also written by Natsuo Kirino. I don't think I'll read Kirino's Grotesque, though, because I think I'd find it too disturbing. For other reviews of Out, please visit Dolce Bellezza and The Reading Life. 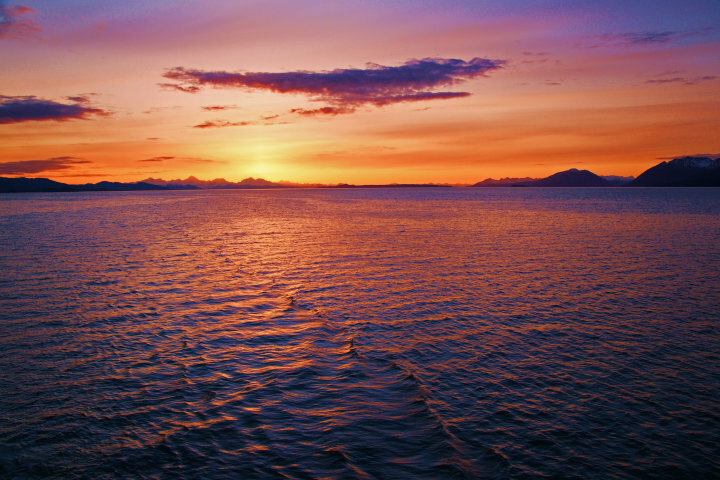 Summer, which begins officially on June 21 this year, is only a week away. One of the nicest things to do in the summertime is to sit outside and read a book. Last week I received four new books in the mail, two paperbacks and two hardcover books. An advanced readers copy of Boys Lie: How Not to Get Played by Belisa Vranich and Holly Eagleson arrived from HCI for an upcoming TLC tour. My two daughters will also read it and contribute to the review. I won Daughters of the Witching Hill by Mary Sharratt on Darlene's blog, Peeking Between the Pages. Author Audrey Braun sent me her book, A Small Fortune. Last but not least, I couldn't resist ordering The History of Love by Nicole Krause from Better World Books on Amazon after reading a glowing review of it on Mee's book blog. Please stay tuned for reviews and giveaways for some of these books. Mailbox Monday, one of my favorite memes, is hosted by Marcia from The Printed Page. What books arrived in your home in time for the summer, by mail or from elsewhere? Author Fiona Place graciously sent me two extra copies of her book to give away in celebration of its release in North America. The randomly chosen winners of Cardboard are Kim from Writing Space and Margie. Congratulations to both of you! Thanks to everyone who participated in this book giveaway. Please check the right side of my blog for other giveaways, and stay tuned for more. They always seemed to be in a group, frantic, following each other in a line, moving urgently. The mere thought of them made my skin crawl. Cockroaches were the bugs I feared most as a child. I grew up in NYC, and if I spotted any roaches in the apartment, I was thrown into a panic. Although my sister, Sharon, drew clever cartoons about a cute, friendly roach, I grew up with a strong fear and loathing of these insects. As a teenager I read The Metamorphosis by Franz Kafka, probably because of my father's recommendation. Published in 1915, this short story or novella appeals to young imaginations, as the main character, Gregor Samsa, wakes up one morning and slowly realizes that he's inexplicably metamorphosed into a giant beetle--a "monstrous verminous bug". He's not a roach, but an insect similar in appearance and status. I decided to reread The Metamorphosis online after reading a recent post about it on Mel's blog, The Reading Life. The story is sad, because Gregor, a young man, has been working very hard as a traveling salesman to support himself, his parents, and his sister, Grete, and receives little if any gratitude in return. One of the themes of the book is alienation--from family, co-workers, and the world at large; Gregor does not receive affection or support from anyone. After awakening one dreary morning in his locked room, and discovering that he has been transformed into some kind of a large, hideous beetle, all he wants to do is to act responsibly, get out of bed, and go to work, which is now impossible. Transformed into an insect, he can hardly get out of bed, much less get ready for work, and he has no choice but to get used to his new state. It's not supposed to be a dream, although it could be. Gregor has just woken up after having had some "anxious dreams". 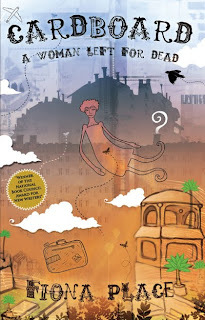 (The story makes you think about your own dreams, and how reality can slip into them. For example, if I have to wake up earlier than usual, the last dream before I wake up is often related to getting up; my mind creates dreams that "remind" me that I need to exit the bed early.) 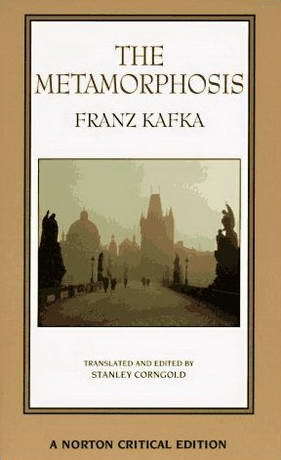 Kafka transforms the protagonist into a disgusting beetle, a despised, useless creature, a character who could symbolize the alienation and melancholy of modern man. Even though Gregor was solely supporting his family, he was not appreciated at all. His sister shows that she cares for him a wee bit, and brings him food, but even that wanes as time goes by. Although he was a conscientious worker, "Mr. Manager" stops by his house and lets him know that he was not productive enough, that he has little value as an employee. All too soon, Gregor-the-insect is neglected by his family and becomes weary, sickly, and dirty. He feels guilty about his state and hides himself from his family because he wants to spare them the sight of him, first hiding under the sofa, later covering himself with a sheet, and sinks further into isolation, despondency, and hopelessness. Although the themes in the story are depressing, Kafka's writing brings this memorable story to life through finely-detailed and vivid descriptions of this insect with "numerous legs, pitifully thin in comparison to the rest of his circumference". The title refers not only to Gregor's changed state, but also to his family, who go through their own metamorphosis as a result of his condition. The Metamorphosis is highly imaginative and believable and beautiful in a strange way, and is quite a worthwhile reading experience. 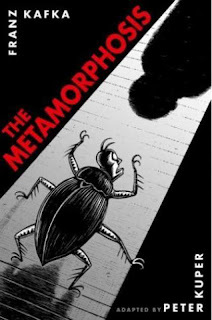 For a review of Peter Kuper's graphic novel version of The Metamorphosis, please visit Amanda's blog, The Zen Leaf. This review counts toward LuAnn's Spring into Short Stories reading challenge. 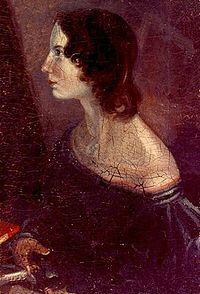 Born in Thornton, England in the early 1800s, Charlotte, Emily, and Anne Brontë were greatly influenced by Gothic fiction. Charlotte is best known for her novel Jane Eyre, Emily for Wuthering Heights, and Anne for Agnes Grey. Each was published in 1847, and caused a sensation when they were first published. Today they are regarded as classics of English literature. I read both Jane Eyre and Wuthering Heights many years ago. For Laura's All About the Brontës reading challenge I decided to focus on a different aspect of their work. The Bronte sisters were also poets. In fact, this is how they began their literary careers. 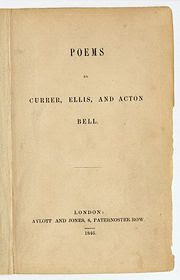 In 1846, Charlotte, Emily, and Anne published a volume of poetry together, Poems by Currer, Ellis, and Acton Bell, their first work to be published. 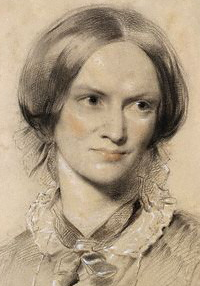 Because of the prejudice against female writers during their lives, the Brontë sisters adopted androgynous pen names. Charlotte became Currer Bell, Anne became Acton Bell, and Emily became Ellis Bell. The first edition of their poetry collection, printed in London, failed to attract much interest, and a mere two copies were sold. 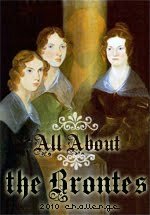 However, the Brontë sisters decided to continue writing and began work on their novels, which were published and quite successful. Much of their poetry and fiction may be read online, on Project Gutenberg and numerous other sites. Welcome to all of my fellow hoppers, visitors, and followers, new and old. 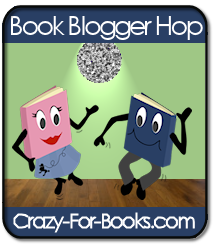 It's time for another Book Blogger Hop hosted by Jennifer from Crazy-for-Books. This BOOK PARTY is a great way to learn about new book blogs. I've found so many excellent book blogs recently that it would be difficult to choose just a few to mention. 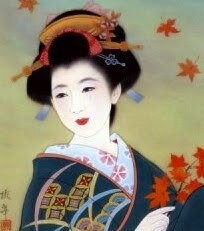 If you are new here, my book blog, Suko's Notebook, focuses on fiction written by women, although not exclusively. Please feel free to browse, and stay for a while. Thanks for visiting! As promised, I have an announcement to make. 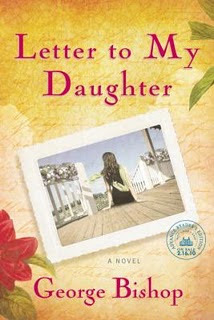 The winner of Letter to My Daughter by George Bishop, chosen randomly from a hat, is Pamela K.. Congratulations, Pamela! Thanks for all the comments, posts, and tweets. Many of the epistolary books mentioned sound interesting. I didn't know that The Color Purple is in epistolary form. I saw the movie many years ago, but haven't read the book. Please return again soon, for more reviews, interviews, and book giveaways. 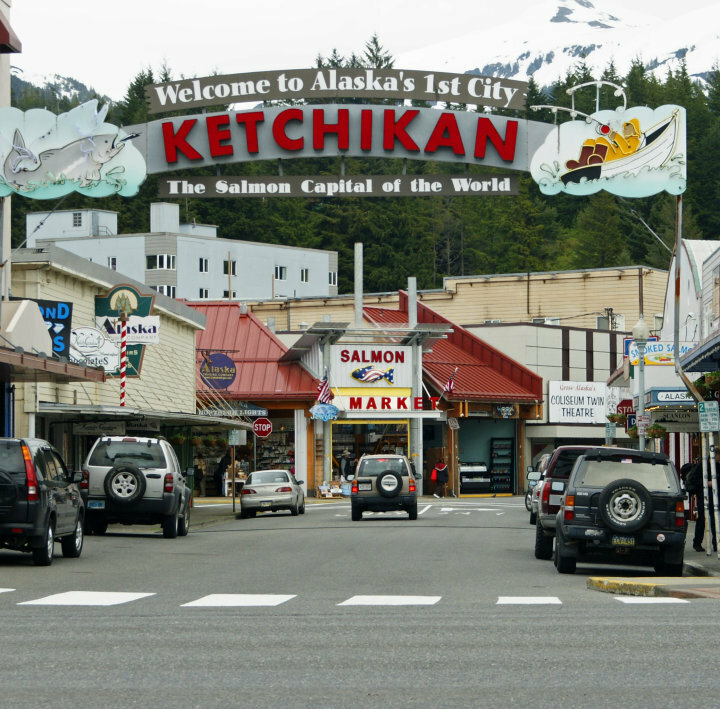 Alaska! 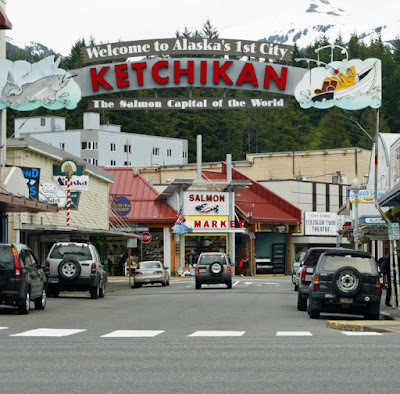 The 49th state has been on my mind ever since I read about the ferry which travels from Bellingham, Washington to Wrangell, Alaska in Raven Stole the Moon. Recently my friend, Mary, took a cruise to Alaska, and graciously allowed me to share some of her photos in this post. 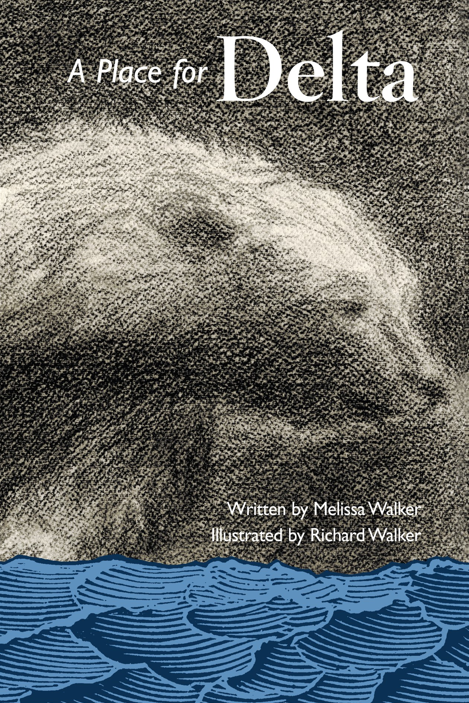 I was quite pleased to receive a brand new book for young adults, published in 2010, A Place for Delta, written by Melissa Walker and illustrated by Richard Walker, in which the main character, Joseph Morse, ventures from Georgia to Alaska. Although he is only eleven years old, he has an important mission, to help take care of an orphaned polar bear cub found stranded on an ice flo. I'd never before read a story about a polar bear cub, and Delta is quite endearing. Small for her age, she drinks from a bottle, devours canned salmon, and plays eagerly with Joseph and other caretakers. Joseph helps the scientists take care of Delta, which is an around-the-clock job at the research station. As the story unfolds, Joseph and his new Eskimo friend, Ada Amatuk, share exciting adventures which make this the experience of a lifetime. 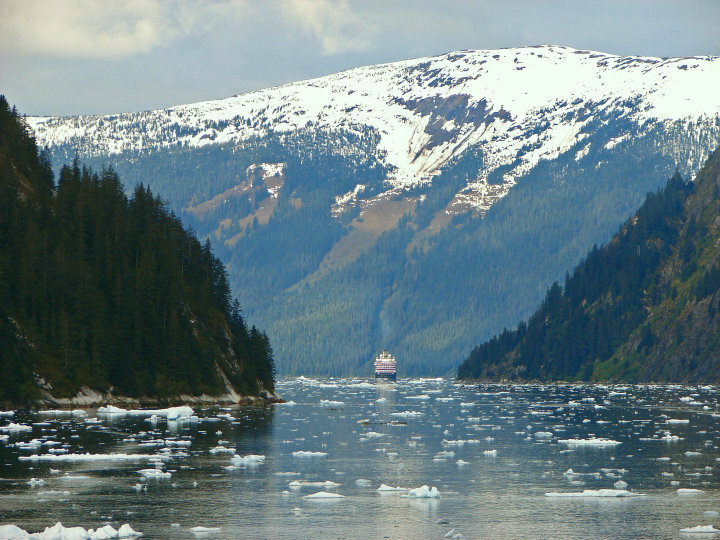 Joseph falls in love with Alaska, and I did, too. A Place for Delta is a heart-warming adventure book with charming illustrations, and an important message about the effects of global warming on the natural habitat and future of polar bears. I enjoyed everything about this book, the setting, the adventures, and the characters--especially Delta. Special thanks to Lisa from Online Publicist for sending me this book, the winner of the 2010 International Book Award for best children's fiction, and to Mary, for allowing me to include a few of her spectacular photos of Alaska.